Rob England is a self-employed IT commentator and consultant. Internationally, he is best known for his blog The IT Skeptic and half a dozen books on IT. Rob was the NZ IT Service Management Champion for 2010, and his blog was voted the best “IT consultant and analyst” blog in the UK’s Computer Weekly IT Blog Awards for 2010. He is an acknowledged contributor to ITIL (2011 Service Strategy book). You’re known as the IT Skeptic. How might your brand of skepticism be beneficial when approaching service management? The IT sector is prone to fads. We are an ill-disciplined rabble who run after anything shiny and noisy that comes by. There is a deficiency of data supporting many ideas, and an absence of objectivity, especially amongst the vendors and analysts who drum up whole new products. CMDB is a case in point. Somebody has to provide an antidote to the Kool Aid. I try to do that with a dose of common sense and realism. The hashtag you started on twitter, #SMtruths has encouraged some great responses – what are some of your favourites and why? The #SMTruths idea came to me when i looked at my burger (I don’t often eat fast food) and realised it bore no resemblance to the shiny picture on the menu I ordered from. So I started tweeting reflections on the profound fundamentals of service management, the enduring truths that underlie all the more complex ideas we lay on top. I want the thread to be thoughtful, lateral, insightful, startling, and amusing. And of course: its a hashtag thread, so folk can join in. I compile them here. It takes as long as it takes to put the fire out. MTTR as a service level target is silly. The world refuses to be defined, repeatable, managed and measured. We cannot treat everything in IT as if it were a manufacturing process. Manufacturing concepts have been way over-used. (See also MTTR). In a dynamically changing world, no process or technology is as flexible as humans. IT people are fascinated by novelty and transformation. Most of the time we ought to be getting on with our jobs. A service is not an object or technology. It is an action, activity, people. Use verbs to describe services. Your upcoming workshop is titled ‘Dead Cat Syndrome.’ Outside of sounding like a wave of bad luck for the veterinarian community – what does this concept mean for those in service management and what is your prescribed cure for it? In many organisations, putting a new project into production is akin to lobbing a dead cat over a wall. No operating model, little or no operational procedures developed, minimal last minute training for the service desk and operations. Supplier contracts don’t align with service commitments. There are no service commitments – no SLA exists. The project disbands the moment the system goes live. If you are lucky someone is still around to answer questions. IT Operations needs to put controls in place to prevent this. Projects benefit from these controls by having a better definition of the end goal and a better end product. You can find out more here. 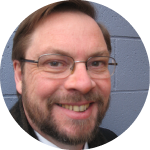 Catch Rob England’s workshops on both ‘Dead Cat Syndrome’ and ‘BSM: Basic Service Management’ at at Service Management 2015.